Here's a list of proposed forum features that have either been approved for future addition or denied, never to be spoken of again. Is there anything I've missed off or anything you want to suggest? - Board for the movie, this'll appear in due time! RARGH! If for any reason you're not completely satisfied, I hate you. *EDIT* Wait, how will you decide who becomes a mod? Great idea for the first one. It's funny to see you frustrated. Functional styles? Does that mean new skins or what? I have such an uncreative username. Yeah, initially just bringing back the old site styles though. Where there'd be Bold, Italic, Link, etc buttons that you can click to make BBCode appear in the text box without writing it out yourself. EDIT: Oh! And you know what would also be useful? Clickable smilies. Like that idea with the BBCode buttons. Nope, that's been done before and it just ended up with smilies being spammed. Do you mean fifth Sparx level? Well, fifth or sixth, that sounds reasonable. There are becoming more 'Yellow Sparx's all the sudden. What would these levels be? Maybe the Golden Sparx from YotD (or more so, the extra hitpoint)? And if there is a sixth, what would it be? Why am I asking so many questions? Hmmm... sounds like a fair answer. Wait, since when could we have just-smiley posts. If we can't, then I guess you just broke your own rule! I got rid of that a while ago. That use to be a rule? Weird. The second one down in approved should help with that problem. Could you do a glitch section on this site???? I made a topic about in in the Site Bugs/Suggestions/Help section, but you haven't responded to it. I'm just wondering............It's just a idea that came into my head a little while ago. Never mind. You've answered my question, Dark52. But could you explain a little more thoroughly what these features will be to me???? I'm confused to what they mean. When the polls feature comes out, could you make it so that we somehow get a certain amount of gems when we make/vote on a poll. EDIT: Dark, if you were to pick a group of people to be Hunters, who would they be? Play the Sega Saturn. It don't got spyro. But boy does is got game. Hmm, considering he'll probably need none for a matter of months or years, I don't think he can decide from us lot yet. When the forum is alot more popular, there'll be plenty more people with the opportunity (spelt that wrong) to become one. Your gems for voting sounds like a pretty good idea. Maybe a gem for every vote you make. But I dunno about getting gems for making one, or that's all we'd do. EDIT: How about when you make a topic, you can attach an age limit to it, and depending on the DOB we gave whilst making our accounts, it either lets us view or not? What DOB would that be? An apple a day=7 apples a week! An apple a day keeps the doctor away. Throw your apples at your doctor! www.RGAclan.tk Please join the site! Does it ask for your date of birth? Sorry, I just haven't registered since, well, my join date. What about the "Darkest Hour" game information???? Will any new information about that be on the site after the game is released???? :/ You think most 13yr olds can think for themselves? When there's news about it released, we'll know. 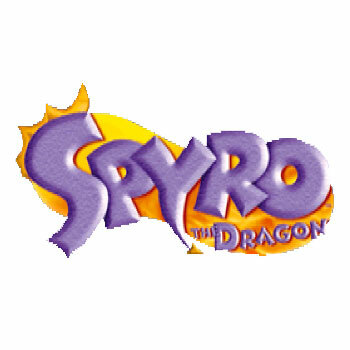 Besides, dark isn't part of the "Spyro team". I'm back from my unaccounced break. Sorry 4 not telling u. Do u like my avi?? It is my aunties dog, Peggy. I dunno. There hasn't been a silver Sparx yet. There has been a sort of gold Sparx (the extra hitpoint in YotD). This is gonna be off the HEZI! What is a Java script formatting tool and what will it do? PLZ tell me! I'd have to wait until November! That's 8 months! I still don't really understand. What will it do? a age only for some topics is a very bad idea. no its really not. If we want to discuss more "adult" topics or just generally dont want younger peeps in, then its a great idea! omg, just coz im the oldest person on right now doesnt mean younger people have the right to geg in to more mature convos! I'm learning about the type of things you're talking about in school, so there, little pigeon! Take, for instance, that painful-sounding but rather disturbing topic (forget the name).